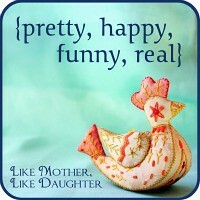 Celebrating everyday contentment with Like Mother, Like Daughter. Riley has been collecting beautiful fall foliage and bringing it indoors for us to decorate with. Here is a leaf she found and later snapped a photo of when she had her turn with the camera. I think this little guy more than counts for happy. He is happy and makes us all so just by being around. Oh, and he likes his thumb! Just like all of his siblings before him. This woodpecker decided that the soffeting looked like holes in trees that insects would dwell in. It started drilling away but gave up soon afterward. Here are a few of my favourite things from my most recent trip to the Natural History Museum in London. The whales! Look at the size of them! Did you ever think rhinos and elephants would look small? Assorted creatures I knew the kids would like to see. Hummingbirds. Hundreds of them. It was almost dizzying looking into this case, your eyes didn't know where to focus. For that matter, neither did my camera. I don't think I got a really clear view of any one particular bird! Dinosaurs!! The main dinosaur wing was closed for renovation but there were some water dwelling dinosaurs on display in one of the main halls as well as a diplodocus. I shot a little video for the kids but I warn you, it is a bit bumpy! Okay, I just have to share some photos of our trip to the Vancouver Aquarium. It was a little bit intense keeping track of seven children, but all eleven of us went in and eleven came out, so I guess we did alright! There were so many interesting and beautiful creatures to see. I'm sharing some of the photos over at the Imagine Childhood blog today. Hop on over and have a look!